Glamorous: A new React component styling solution — An introduction to a new React component styling solution with an elegant, performant API and small footprint (<5KB gzipped). Repo here. React Datasheet: A spreadsheet React component — A customizable Excel-like data grid component that supports formulas and even other components embedded within cells. The Complete Redux Book (free until April 14) — A 180 page e-book promising ‘everything you need to build real projects with Redux’. It’s free for the next week if you drag the slider. You can now get started with the 'most wanted' database free — The recent Stack Overflow survey of over 64,000 developers called MongoDB the “most wanted” database. MongoDB Atlas is the best way to use MongoDB in the public cloud and it’s never been easier to hit the ground running. 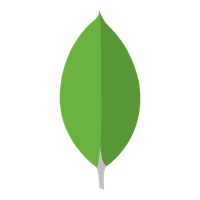 Try MongoDB Atlas free. Preact 8.0 beta released: The 'mini' React — A fast 3KB React alternative with the same API. 8.0 boasts performance improvements and an even smaller size. 8.0.1 is the latest release. Haul: A command line tool for developing React Native apps — A drop-in replacement for the usual CLI that provides access to the Webpack ecosystem. Reusable state with higher order components — Higher-order components are a great way to extract repeated state or lifecycle methods. Why the React project is using Rollup rather than Webpack — The tl;dr is this: Use webpack for apps, and Rollup for libraries. Code splitting for React Router with Webpack and HMR — A simple guide to creating a starter app that uses routes with code splitting.